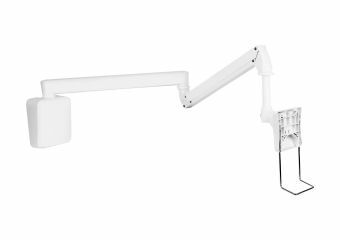 Meet wall-mounted articulated monitor arm for LCD's and infotainment terminals - suitable for hospital environments. 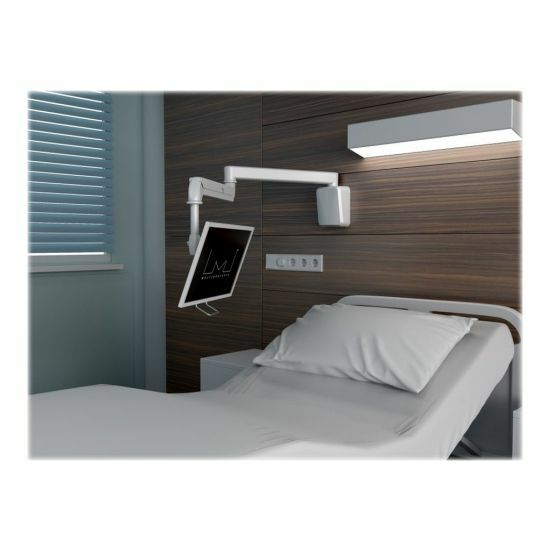 M VESA Full Motion Medical Arm is designed for use with LCD's or infotainment system found in Hospitals and other health related environments. The arm itself holds high medical quality levels in all areas and offer wide flexibility for installation at bedside in a typical hospital room or other such environments. Finally a perfect fit for any installation requiring good reach from a typical swivel arm still compact when stowed away. This arm is both light-weight and compact which allows for an easy installation and even easier usage. 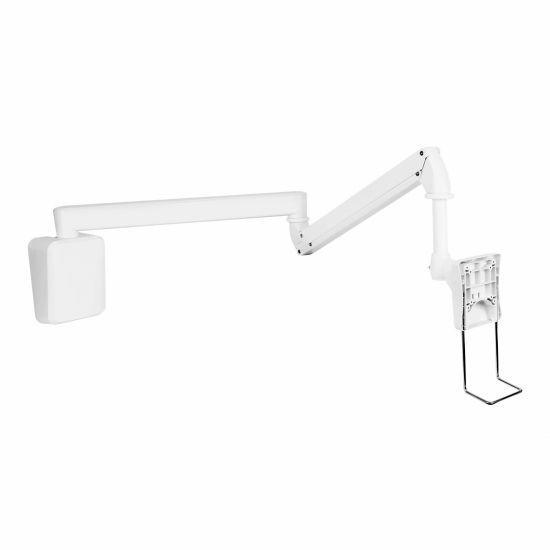 It features a standard VESA mounting for maximum compatibility. An ingenious tilt mechanism developed by Multibrackets ensures the arm is very easy to maneuver, providing the user with the most comfortable position when using the screen or touch screen of the infotainment system.